Matching qualified job seekers with available jobs has long been a painful and inefficient process in the hospitality industry. 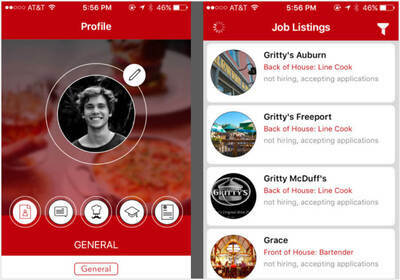 The start-up company Red Door Network (RDN) is innovating the recruitment process by utilizing technology to make hiring more efficient and effective. In hiring, outdated methods are prevalent, most of which are either expensive or time consuming for the business owner. 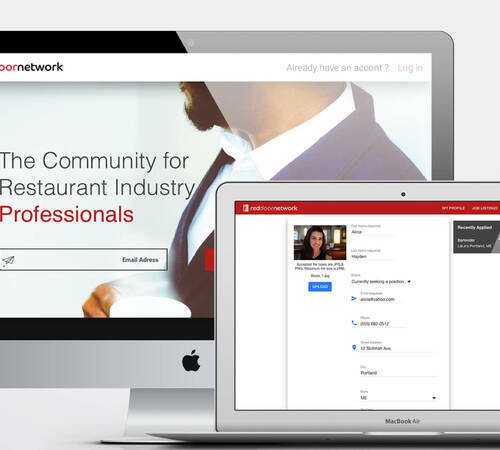 Red Door Network decided to introduce a recruitment platform that allows restaurant owners to better manage job applicants online, while still utilizing existing and popular job posting sites. The platform we created together matches employers with qualified job seekers through data capture, query, and analysis. With over 155,000 leisure and hospitality jobs in Maine and the surrounding states, the potential customer base is significant. Initial key metrics suggest that users of RDN can expect an increase in efficiency, and a reduction in turnover and recruiting costs. Because Red Door Network is a start-up, they benefited from our software development expertise as well as our in-depth understanding of the questions, issues and roadblocks that start-ups often face. We provided Red Door Network with business consulting services such as help navigating the funding process, advice on grant proposal writing & submission and scope definition for MVP features. We went on to provide agile development services for the feature-rich MVP product. The platform features quick publishing of jobs postings, which are easily created through templated forms. Instead of reinventing the wheel, we built a platform that enables employers to continue posting openings on the listing sites that they (and job seekers) rely on, like craigslist. However, funnelling applicants through the RDN platform allows business owners to filter, comment, tag, and sort applicants, matching them with their open postings in an organized and efficient manner. And for the job seeker, the RDN iOS app allows them to save their digital resume and submit to open job postings in seconds. 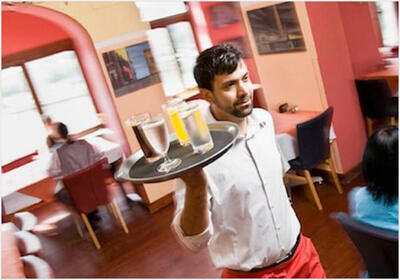 Quickly endorsed by the Maine Restaurant Association, RDN has been connecting job seekers to open positions since 2015. Matching job seekers with open positions every day!